Discover some of the most daring, vibrant and imaginative pieces created by Adelas Art and buy original oil paintings directly from the artist. The original artworks are made with high quality oil paint, some of them include three-dimensional elements, bits of coloured papers and newspaper clippings, and are a direct result of the creative process of the artist. 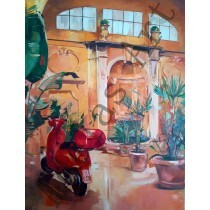 These unique one-of-a-kind pieces are delivered with a certificate of authenticity that includes the name of the owner who purchased the piece of artwork. The certificate is signed by Adelas Art. 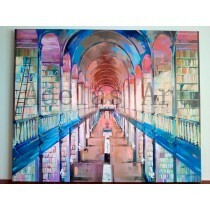 If you are buying a painting as a gift, please provide the name of the gift recipient for the certificate. 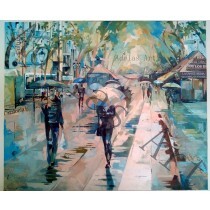 Adelas Art can also ship to the address of the recipient of your gift. Please note all the items listed above will be sent within 5-10 working days. The postage costs include Registered Post services for more security and peace of mind.